Manor farm open - Peg 4 island pool. This peg is the shallowest on the lake with the deepest part being around 4ft, so I didn't expect to catch on the pole but just set up 1 rig to try it. Started chucking around on the bread and had my first fish, a tiny F1 2 hours in and with 3 hours gone I had 2 fish so wasn't looking good. I then had a really good spell catching on the lead where I fed 8mm pellets to my left at around 30m where I could accurately feed them with the wind. 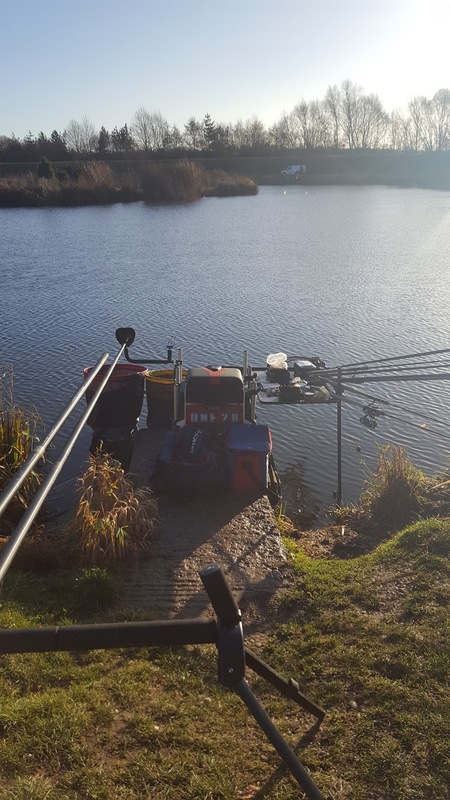 Managed 12 f1s and a mirror carp for 51-0-0 which won my section and put me 4th in the match.